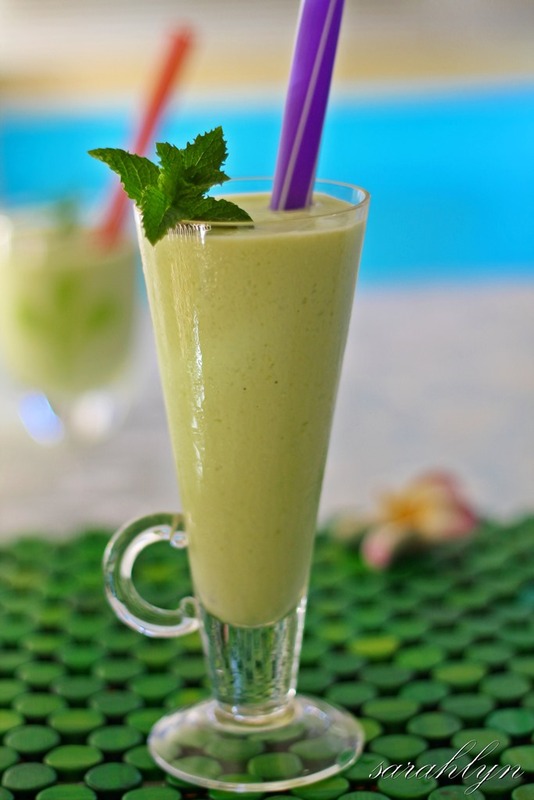 Place all ingredients in a blender and blend until smooth and ice is crushed. Garnish with mint leaves. Serve immediately.